The name means 'snare ropes' after the Maori used the old forests of this area for hunting, and tracks led to the Maori pas on the west coast. This large valley is one of New Zealand's largest suburbs and is the largest Electoral Suburb in New Zealand. The first permanent occupants of the valley were farming settlers who bought land from the New Zealand Company in 1840. In 1891 Karori separated from the Hutt County Council and became a separate borough until 1920 where it was amalgamated into the Wellington City Council. Appleton Park was originally the lower part of the Kaiwharawhara stream. It was filled up in 1885, to become the site of the city dump. The land is now occupied by large sports fields. Karori Cemetery (1891) Wellington's old cemetery covers one hundred acres. The main entrance is off Old Karori Road. It is now being developed into a heritage park. The Karori Crematorium (1909) was the first in NZ, and the second in the southern hemisphere. Makara Cemetery Wellington's current 84 hectares cemetery. It was first used in 1965 and caters for most of Wellington City's burials now. It is divided into religious and cultural areas. Karori Tunnel (1899) pierces Baker's Hill, funded by the ratepayers of Karori, the tunnel was finally completed in early 1900. Designed by Thomas Ward (1849-1935) who established the NZ Institute of Surveyors. An ecological restoration project in a beautiful valley set around the Karori Reservoir (250 acres). The sanctuary was opened in 2000, and provides a pest free habitat for New Zealand's wildlife. It offers relaxing walks in the city. Native Fauna are being released into this mainland island reserve. 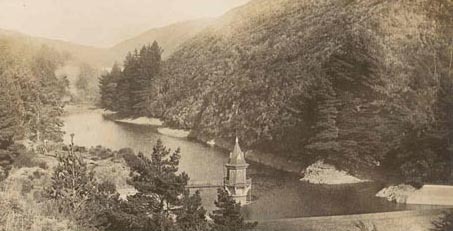 The Karori Reservoir was completed in 1873, damming the upper Kaiwharawhara stream, to provide Wellington's first water supply. A second dam was built in 1908-1911. The dams no longer provide drinking water after being decommissioned in 1992. A feature of the reservoir is the neo-gothic valve tower built in 1873, which controlled the flow of water. Construction of the Tracks started in 1998. There are now 20 kms of graded tracks. Wellington College of Education (Donald Street) was opened on this site in 1970. It was designed by Gabites, Toomath, Beard and Wilson which won a silver medal from the New Zealand Institute of Architects. Wrights Hill includes significant heritage features including the WWII gun emplacements and tunnels. They were only test fired once in 1946-7. They were scraped in 1960 and sold to Japan. These are looked after by the Wrights Hill Fortress Restoration Society. They have a number of public open days throughout the year. Access off Campbell St and Wrights Hill Road. H.S. Chapman, (1803-1881). An early Karori resident. He was elected as a Judge of the Supreme Court and editor of the New Zealand journal. He arrived 1843 and lived at Homewood House in Karori for 9 years. Robin Hyde (Iris Wilkinson) (Fiction Author / poet). Died 1939 lived in Northland and wrote for the Dominion. Works include The Godwits Fly, Passport to Hell, and collected poems in The Desolate Star. Katherine Mansfield (Author) went to Karori School when she was six, and lived in the suburb for 5 years. Check the catalogue for books by Katherine Mansfield. Samuel Parnell (Builder) (1810-1890). The man who gave us the 8 hour working day due to the scarcity of labour at the time. (1840). Lived in the suburb from 1843 to 1873. Futuna Chapel 62 Friend Street. (1961) A modernist building designed by John Scott, New Zealand's first Maori Architect from Haumoana in Hawkes Bay. It combines structural elements of a Maori meeting house with traditional features of a church. It is a category I historic place. It was named Futuna after the pacific island where St Peter Chanel, a Marist priest was martyred. Homewood House 50 Homewood Avenue; Built 1847 by the original owners Henry Samuel Chapman, (1803-1881) The first judge of the supreme court and editor of the New Zealand journal. Karori Normal School was established in 1857 and opened at its present site in 1875. Karori Normal is one of the longest surviving primary schools in Wellington. The site was previously occupied by the Karori Lunatic asylum (1854), New Zealand's first home for the mentally ill.
Karori West Normal School opened in 1932. Wellington College of Education trainees practice teaching at Karori's "Normal" schools. Marsden School. Marsden Avenue. (1930) The school is named after New Zealand's first Christian missionary, Rev Samuel Marsden. The current school was established on land donated by the Riddiford family in 1920, on condition is was run by the Anglican diocese. Originally a day and boarding school it is now solely a day school. St Mary's Anglican Church 170 Karori Road; (1911) replaced an earlier church built in 1865. It was designed by Frederick de Jersey Clere. It is built in reinforced concrete in a Californian style and has been extended 3 times. The tower is a local landmark. Many early settlers are buried here. Heritage Trail : Karori, Wellington City. 2001. The Karori gold-rush, 1869-1873 / by J. W. Brodie. 1997. Homewood and its families: a story of Wellington / by Beryl Smedley. 1980. The Karori reservoir area: a brief history / by Judith Burch. Publisher: Karori Historical Society, 1997. Karori streets, 1841-1991 / by W.G. Chapman. Publisher: Karori Historical Society, 1991. From bush to suburb: Karori, 1840-1980: the text of four talks / by Margaret G. Patrick ; edited by Katherine M. Wood. 1990. Karori then: past images and recollections from a Wellington suburb / by Joseph and Betty Kenneally. 1980. Developing a sanctuary: the Karori experience / by Diane Campbell-Hunt. 2002. Karori Wildlife Sanctuary management plan: resource description, objectives and management policies / prepared by the Karori Wildlife Sanctuary Trust Inc. 1997. Voices of Silence: story of the Fortuna Chapel / by Russell Walden. 1987. The Streets of my City: Wellington, New Zealand / by F.L. Irvine-Smith. 1948. Makara Peak Mountain Bike Park . Karori Historical Society Files are held at Karori Library. Files are arranged chronologically and by subject. For more newspaper clippings, ask for the Wellington files at the 2nd floor enquiry desk of the Central Library.